This is an overstock section for loose UMD PSP games and movies. original retail cases are not included. 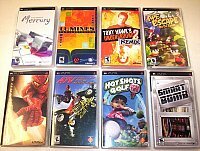 We have lots of PSP games in retail store.